William's caregivers would benefit from a follow-up visit with his Family Physician. The family physician may then refer William to an Allergist and a dietician. A consultation with a pharmacist may also provide William's family with information. In treating patients, a family physician can educate them on diabetes, obesity, immunizations, pregnancy, allergic reactions, children's health, mental health, men's and women's health and senior's health. A registered dietitian (RD) has completed education and training to specialize in a wide variety of fields, including sport nutrition, gerontological nutrition, pediatric nutrition and food allergies, including how to avoid allergic reactions. A pediatrician treats diseases and conditions that affect children, such as food sensitivities and allergic reactions. 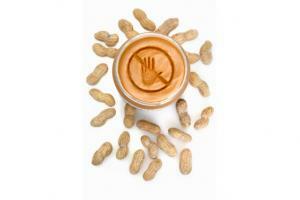 Can Food Allergies Trigger Allergic Reactions? Is Celiac Disease an Allergic Reaction? 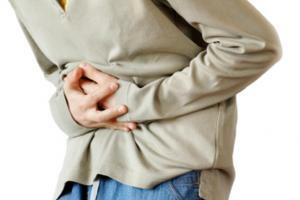 Can Child Abdominal Pain be Caused by Food Allergies? Is Inflammatory Bowel Disease Considered an Allergic Reaction to Certain Foods? 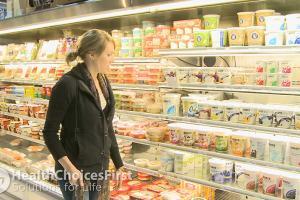 Is Lactose Intolerace an Allergic Reaction? As an adult I have developed allergies. 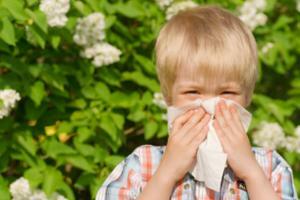 I was the kid who had no allergies at all, now I'm suffering from allergies to pollens, grass and dust mites. My sinuses were hit hard a year ago giving me chronic sinusitis to the point I was even on a list for sinus surgery! I started taking allergy shots and a year later I'm glad to say that a lot of my sinus issues have been resolved. I would highly recommend allergy shots for people in a similar situation as me. It's definitely worth a try. Sheets should really be cleaned every ear to avoid dust. I have friend who grew up on a cherry orchard and cannot eat cherries now without a complete breakdown of his immune system. 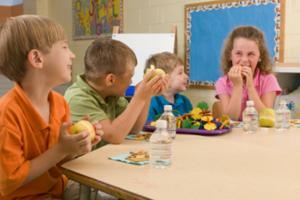 Children who have food allergies and intolerances can present with such a wide range of symptoms and reactions. I wonder what the correlation is like between allergies and asthma, as I've heard there is often a presentation of both in children that are affected. I heard that childrens (and adults) food allergies can be linked to other types of allergies they might have. For example, if you are allergic to molds, then you shouldn't eat mushrooms. Or if you are allergic to pollens then don't eat apples etc. etc. Is this correct or just another old wives tale? Thanks! My daughter was diagnosed with an egg allergy at age 2. Her symptoms were either vomiting or contact hives depending on what she ate. @Lisa Cantkier - can you describe some of symptoms you've seen in your practice to show the variation in symptoms that children with allergies have? When my youngest daughter was a toddler, she had a lot of eczema and asthma and we took her to a naturopath who did blood testing and apparently her results showed a lot of reaction/sensitivities to certain foods so we were advised to make modifications to her diet. I remember being told it is very common for young children to have the trio of asthma, allergies and eczema. Can any practitioner comment on this? My daughter has since grown out of her symptoms of asthma and sensitivities, and we usually deal with some eczema symptoms in the winter when the air is so dry. @Healthymama - do you know if the hereditary component of eczema and asthma in families is just limited to the parents of a child? Neither my husband or myself have a history of eczema or asthma, however we both have siblings who have - I wonder if my youngest daughter was affected because of her uncles. There can also be correlations between a parent's eczema and their child's asthma or reactive airway issues. @K.Michael - I think it was called atopy or something like that - where there's a triad of asthma or reactive airways, allergies and eczema. My daughter has managed to grow out of most of these conditions. My daughter has the same three things - asthma, allergies and excema - but I never realized there was a correlation ! Eosinophilic esophagitis is also being diagnosed more frequently. It's a reaction to food allergens or acid reflux. It can damage esophageal tissue. From my reading Eosinophilic esophagitis is an immune disease and not associated with allergies. What are the symptoms? My husband suffered from reflux for years. He has cut almost all processed food out of his diet and is much better now. One of the things our allergist stressed was that each instance of an anaphylactic reaction would get worse. Is this for sure that allergic reactions get worse each time or just a possibility? Is there an allergist that can comment on the severity of allergic reactions over time? I would be curious to hear about this. Is there anything that can be done to prevent the reaction from getting worse ? Another allergy is Oral Allergy Syndrome or pollen food allergy, where eating certain types of raw fruit causes a really tingly mouth (or so I'm told). I recently realized I might have a bit of that when eating walnuts...I always thought it was just the way walnuts tasted/felt, but now think maybe they're not supposed to "feel" anything! Can that type of allergy be dangerous? I would definitely look into getting that checked out T Brown.. I have never experienced any kind of tingling from eating walnuts.. That sounds like a kind of allergy to me! Is there any truth to children outgrowing dairy allergies by the time they reach age 3-4? And if yes, what mediates that? I have a 4 year old with dairy intolerance ( abdo pain) as well as an allergy to onion and garlic. I keep hoping she will outgrow some of them as it makes life difficult for making meals! Those ARE difficult allergies to deal with. Dairy, garlic, and onion seem to be in everything.